Lately I have been drawn to the muted tones and matching colors/textures of the Wabi-Sabi aesthetic, but for this design I was interested in exploring more visual contrasts. 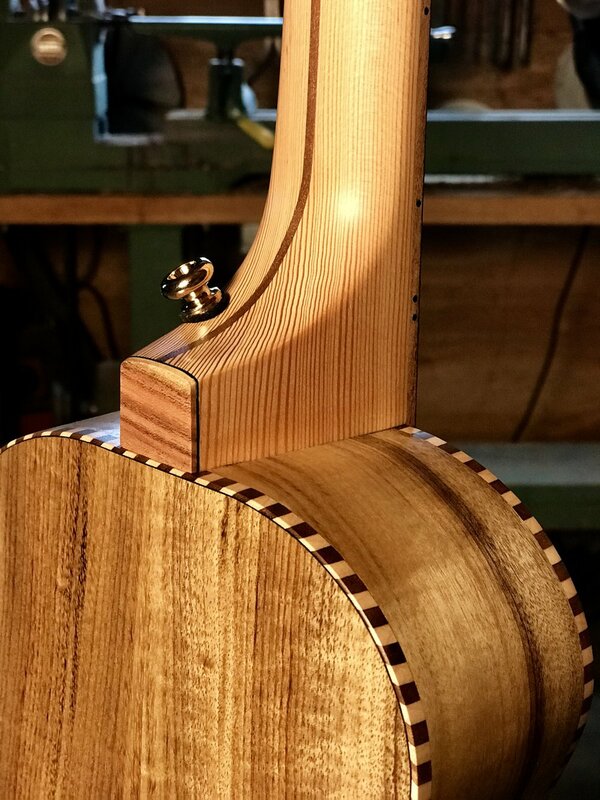 The old growth bear claw spruce top from Alaska Specialty Woods has a vibrant look and sound. The dynamic pistachio fretboard introduces red and green elements. 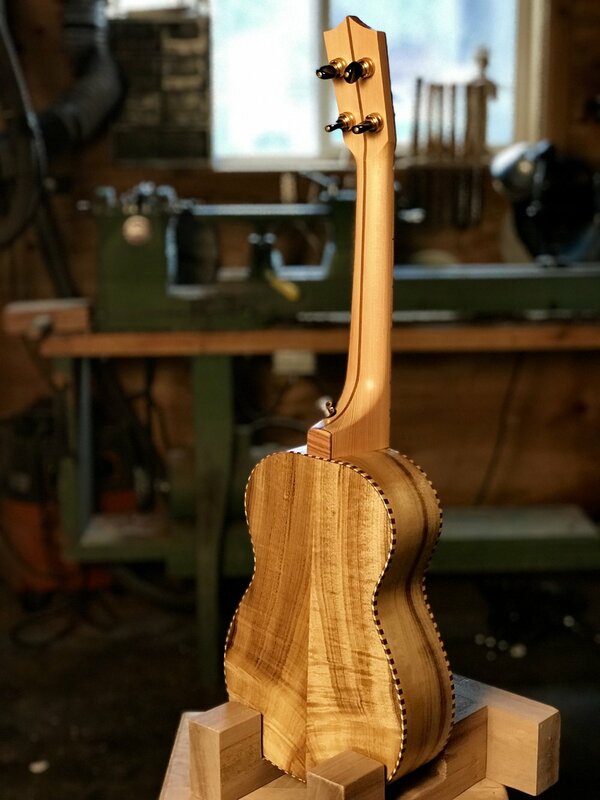 The master grade myrtle back and sides from the Oregon coast (provided by woodfromthewest.com) brings a vibrant sound and whimsical texture that interacts with the green from the fretboard. 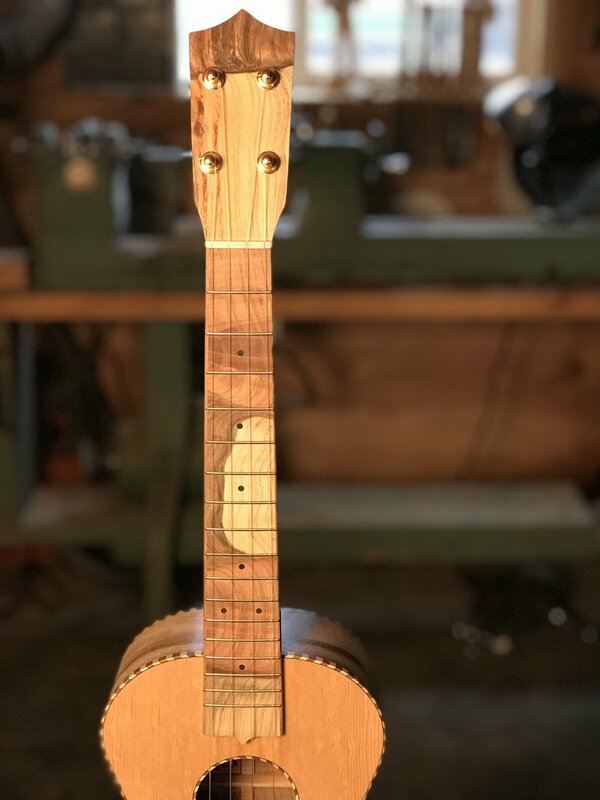 The Douglas Fir neck is salvaged from floor boards and includes one nail hole to remind us of our flaws. A bit of this and a bit of that, but I love it just the same, wrapped up in rope binding. 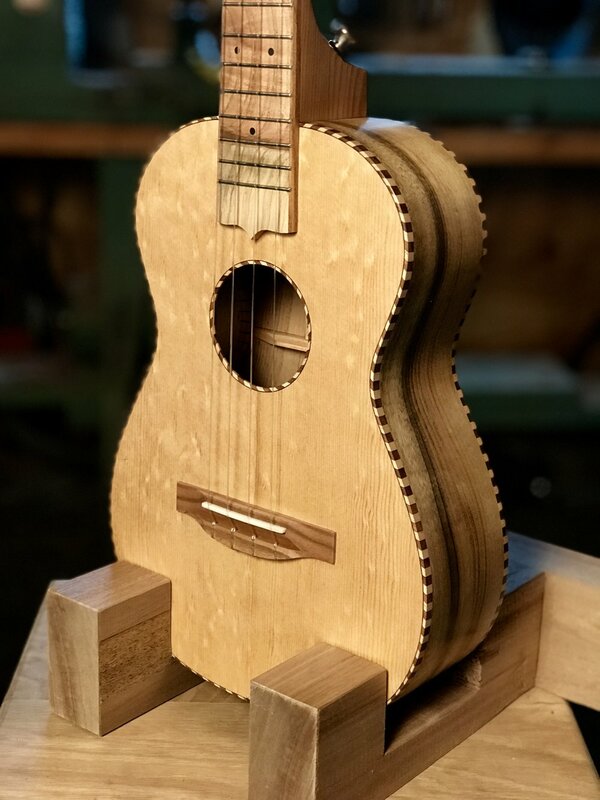 I love this uke and I love the people I made it for.